How do we create non-toxic cultures that are free to include, while still moving ahead? As culture evolves and changes, most work places are striving to create environments where teams perform optimally, where relationships are authentic and trusting, and policies are fair regardless of role, race, or gender. The impulse for balance and equity in the workplace is a healthy development for all working environments. But sometimes the intention to include backfires: change becomes pressuring and the people who advocate for it become oppressive; freedom gets mired down in identity politics, and the effort towards better relationships results in alienation. These dynamics, while challenging, can be skillfully transformed, but understanding how to work with them takes some training. Diane Musho Hamilton is a uniquely gifted, playful, and awake group facilitator, consultant and teacher of Integral Spirituality and Zen. She is a lineage holder in the Soto Zen tradition, and has collaborated with the Integral Institute and Ken Wilber since 2004, developing the Integral Life Practice seminars and the Integral Spiritual Experience global events. 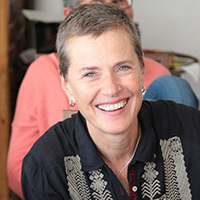 She is the co-founder and Lead Trainer of the Integral Facilitator® program pathway at Ten Directions. With extraordinary depth and insight, Diane encourages us to consciously evolve beyond old and limited ideas of who we are so that we might discover our own unique expression of wisdom and of compassion in this time. 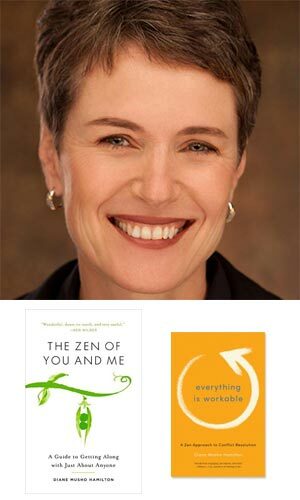 She is the author of Everything is Workable, a Zen Approach to Conflict Resolution, and The Zen of You and me, both published by Shambhala Press, and a contributor to Harvard Business Review.